CSBio has been producing high quality custom manufactured peptides since our inception in 1993. We are dedicated to providing our clients with the highest quality compounds available in a time frame that meets each client’s expectations. All of our peptides come with a complete quality control package including HPLC analysis to ensure purity and mass spectral analysis to confirm identity. Whether you are in need of multiple peptides, long sequences, modified peptides or even peptide reagents and synthesis equipment, CSBio can be of assistance. CSBio has been producing cGMP peptides for over 15 years and has recently received a Recommendation for Approval commercial production of Exenatide to produce commercial API following a vigorous FDA audit. Our goal is to take our clients from the research clinical trial phase all the way through market commercialization. Our Quality Team will provide the appropriate documentation required for preparing regulatory product submissions, such as a Drug Master File, upon request. 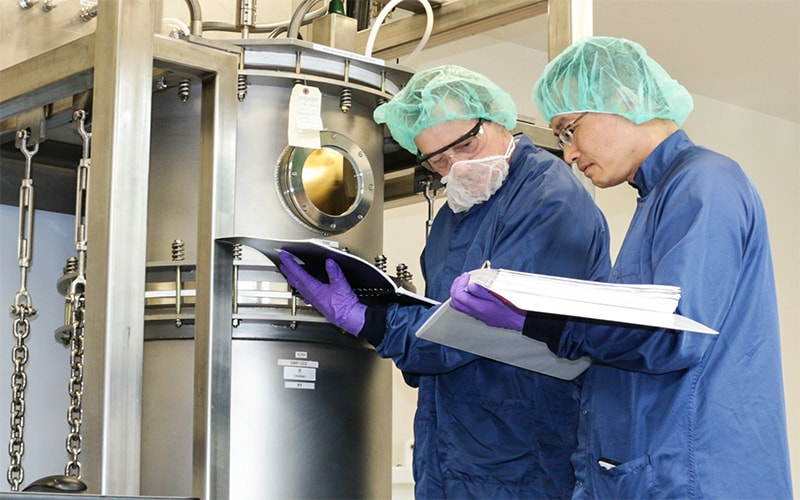 Our value added services include process development, scale up production, analytical/process validation, stability studies, CMC, DMF, and FDA regulatory support. It is imperative for us to work with our clients as closely as possible. We have undergone audits by many of our clients and we would certainly welcome any members of your staff to visit our facility for an audit/inspection. Our state of the art cGMP facilities were built specifically for GMP peptide production. The GMP Manufacturing Group has produced hundreds of clinical grade peptides for toxicology studies, Phase I, Phase II and Phase III clinical trials worldwide. Our team is well versed in guiding our clients through the clinical process to assure that all requirements are met whether you require a single cGMP grade peptide or multiple cGMP grade peptides for peptide vaccine or clinical comparison studies. CSBio offers a complete line of popular peptides for research and development. These peptides are offered in various prepackaged quantities and ready for use. All of these peptide come with a complete quality control package including HPLC analysis to ensure purity and mass spectral analysis to confirm identity. Please feel free to search our catalog for any peptide by areas of research, sequence or the common peptide name. If you cannot find the peptide you are looking for, please do not hesitate to contact us for assistance and/or a non-clinical peptide quotation. 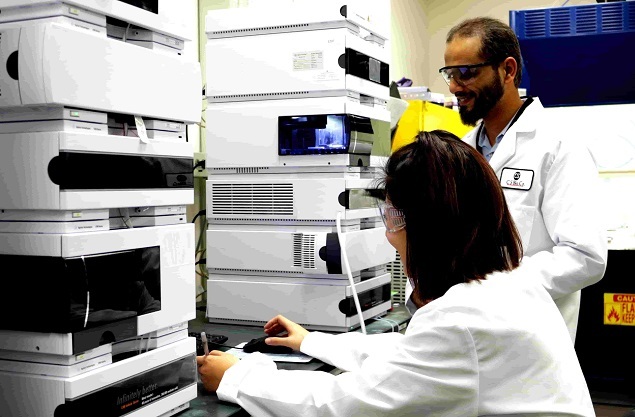 CSBio offers a wide array of pharmaceutical, chemical, and peptide analysis services. Our analytical laboratories adhere to current GLP standards and are equipped with state of the art analytical instrumentation. Each service is overseen by highly skilled and trained chemists who are able to offer state of the art testing in a rapid time frame. Our services also include analytical/process method development and validation, stability studies, CMC, DMF, and full regulatory support. Please feel free to contact us to discuss your analytical requirements.